The other day, I took my two dogs on a detour from our usual walk around the neighborhood. It was one of those unseasonably mild late-Winter days, so I grabbed the opportunity for some extra time in the sun and a much-needed dose of Vitamin K.The dogs responded just as I expected them to. As soon as we veered off our regular course, Kirby put the brakes on and Sable blithely took off for parts unknown. 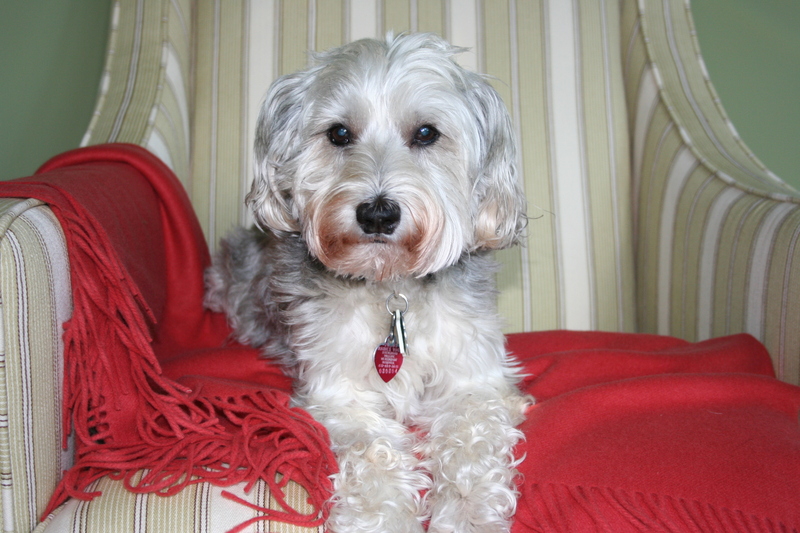 A little more background about my dogs: This is Kirby. He is the wise old man. Sweet as sugar. A few months back, we learned he has cancer. The worst part of pet ownership, the inevitability of having to say goodbye, is now staring us in the face. But he is strong and he is here, and we are grateful for every day. This is Sable. She is a whirling dervish. Too smart for her own good and always looking for the party. She keeps life interesting. So, my furry kids behaved exactly as I expected them to in this new situation. Kirby, wisely cautious, needed extra encouragement and coaxing from me before reluctantly venturing ahead. 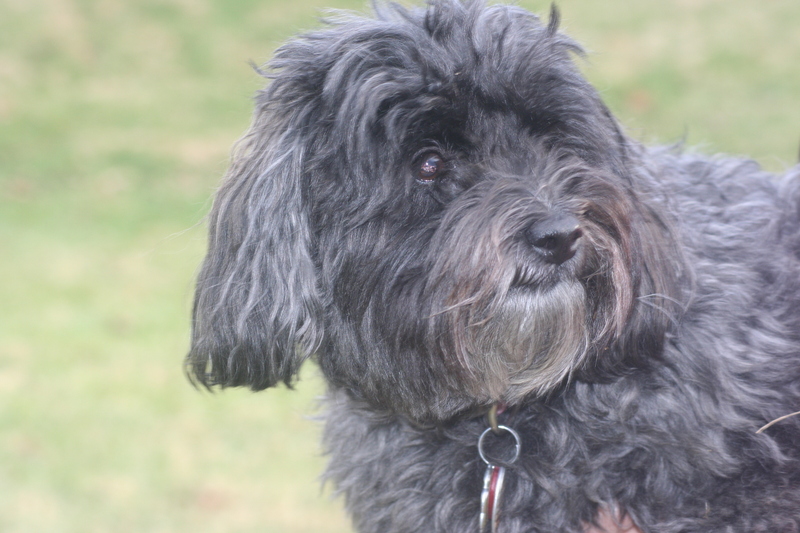 Sable, wearing her moxie like a badge of honor, scampered well ahead of us, never bothering to look back. It got me thinking. Change is about the only thing in life we can count on. It’s inevitable. Yet for many of us — for me, perhaps for Kirby too — adapting to change is a little like wading through jello. Let’s just say it’s not easy. But change is gonna’ come. Bet on it. In my family this is a big year for change.There will be many milestone events celebrated: graduations, a wedding, new jobs, perhaps moves to other cities. These are the happy transitions we will record with photographs and stories to share for years to come. No doubt there will be many unanticipated changes too. Truth is, we never know what the future holds, only that if we weather the shifting tides together, the ride is likely to be a little less bumpy. 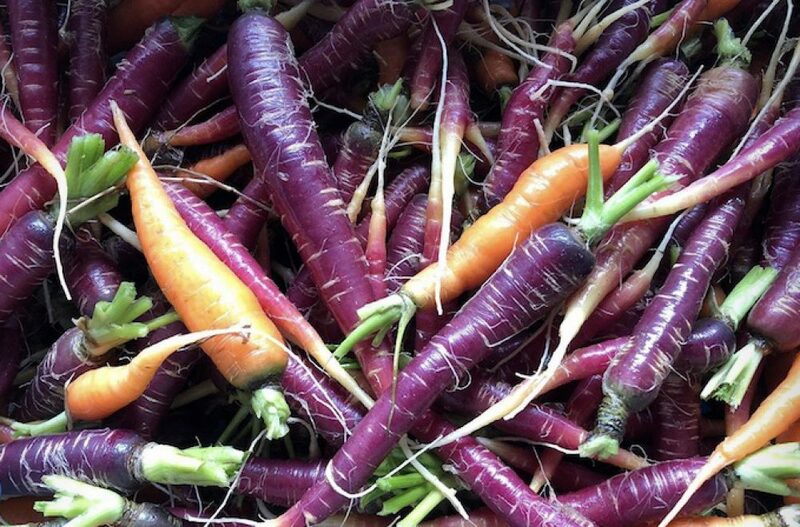 Thinking about change made me hungry for something warm, soothing and grounding. 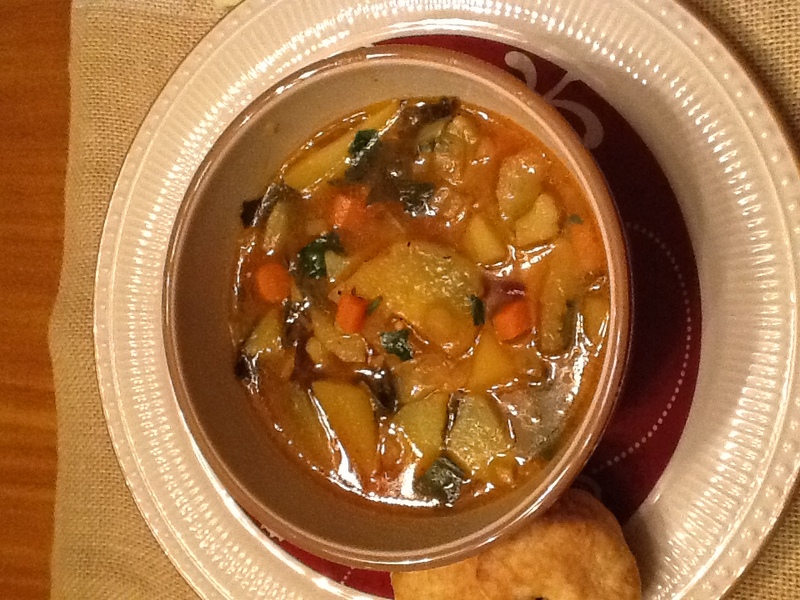 This Winter Vegetable Soup, an adaptation of the recipe by the same name from the Beekman 1802 Heirloom Cookbook, was just the ticket. In a large saucepan, heat the oil over medium heat. Add the onion, garlic and ginger and cook, stirring frequently, for about 3 minutes. 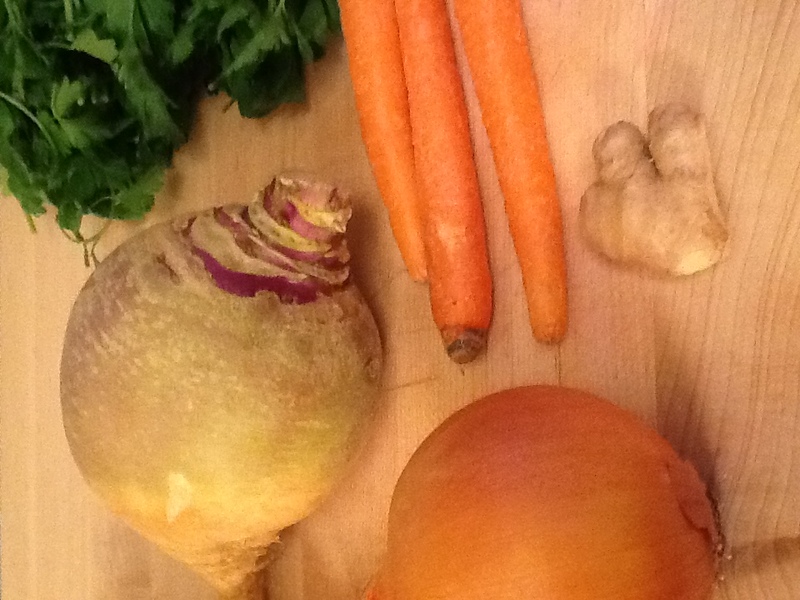 Add the carrots and rutabaga and cook until the vegetables are crisp-tender, about 7 minutes. 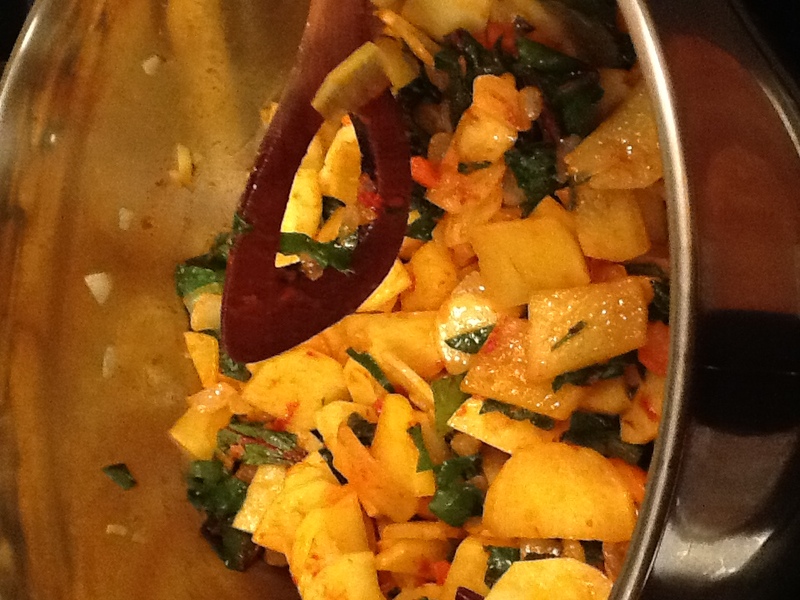 Stir in the potatoes, greens and tomato paste, stirring to coat. Add the stock and salt to taste and bring to a boil. Reduce heat to a simmer, cover and cook until the vegetables are tender, about 20 minutes. Once the vegetables are tender, add the sugar, season with salt and pepper, and garnish with the chopped parsley. Enjoy!